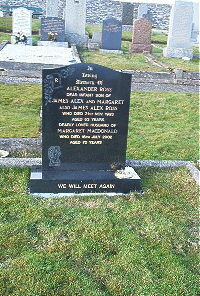 Alexander Ross died in infancy. Father James Alex Ross died 21st November 1993 aged 63. Mother Margaret Macdonald died 16th July 2002 aged 70.